Strengthening quads and hamstrings might seem to be a daunting task, as you start working out. But, if you focus on the right exercises and do them regularly, you will be able to train your leg muscles just as you wish. So, here are some effective exercises for those who are looking forward to shapely legs and strong quads and hamstrings. These exercises are especially useful for athletes and professional bodybuilders. Start the exercise by lying down with your face down on bench. Your knees have to be towards the edge of bench as you position yourself. You need to pick the right dumbbell. Set it well on ground and place it near the lower section of bench. You will then secure this dumbbell just between the arches of the two feet. In this position, you will have your legs well extended. Wrap your arms comfortably just around the bench for complete stability. This shall be your start position. Now, you will bend your knees slowly. Curl the dumbbell and pull it towards your buttock. You will try and raise this dumbbell as far as you can. Try and bring it past 90 degrees if you can. Stop for a few seconds and then start lowering the dumbbell. Slowly get back to the start position. Repeat at least 10 times. Start this exercise by standing tall. Your feet shall be at least shoulder width apart. You will grab the dumbbell with your hands. You need to hold it completely vertically against your chest. As you keep your back straight, you will squat down. Go low till your thighs are parallel to floor. You will then extend the knees and hips and get to the starting position. Repeat 10-12 times to strengthen your quads and hamstrings. Start by standing straight and in front of a flat bench. You will be holding a dumbbell in your hand in this position. Now, lift one leg and place your foot on bench. As you step on the bench, you will slowly drive your hips towards the ceiling. You need to leave your dumbbells by your side. You will then step down using your other foot. Repeat with your other leg. Do at least 10 times. 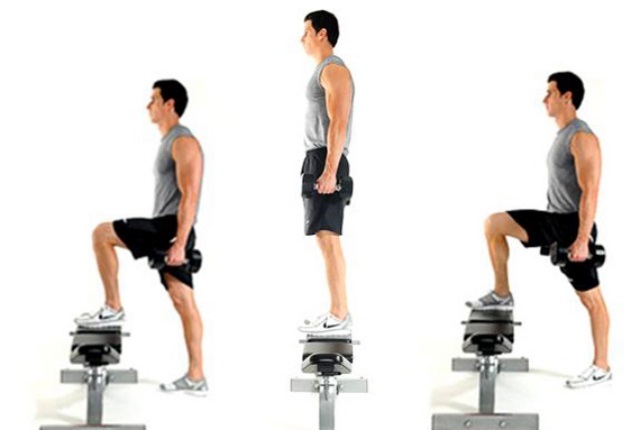 This exercise helps in building strong leg muscles. 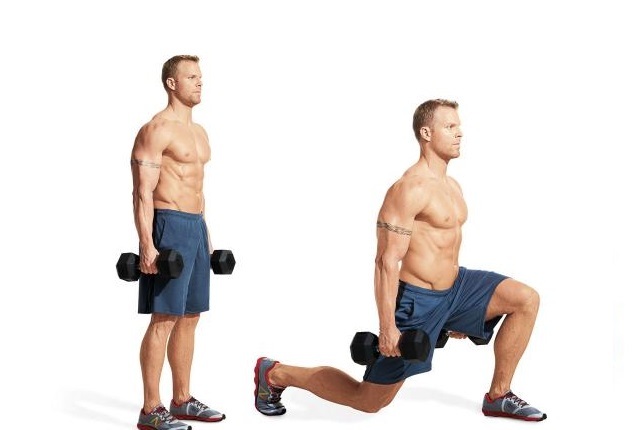 If you are looking forward to strong legs, you need to do lunges. Reverse lunge is the most effective exercise which works on some of the major muscle groups which includes hamstrings and quads. 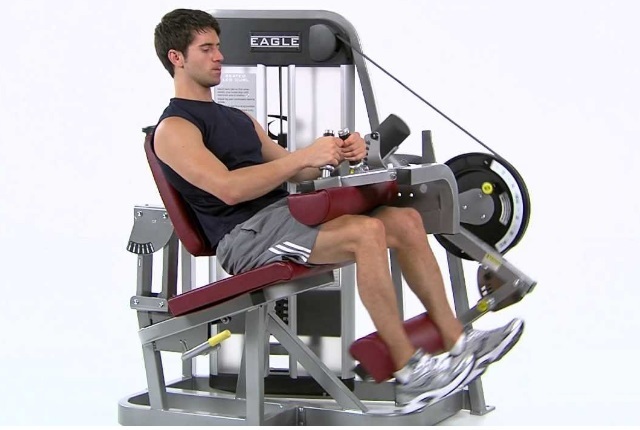 This exercise does not strain the knees. Start by holding on to a pair of dumbbells. They should be at your sides and your feet will be together. You need to ensure that there is some good space behind you. Your chest shall be out, head upwards and you need to bend your knees a bit. Now, step a bit back with the right leg. You will land on the ball of your foot. You need to slowly bend both your knees so that you are able to lower yourself. As your front thigh is completely parallel with floor, you need to extend your knees. Your hips will also extend. This will help to get back to the stand position. You can alternate your legs and repeat. 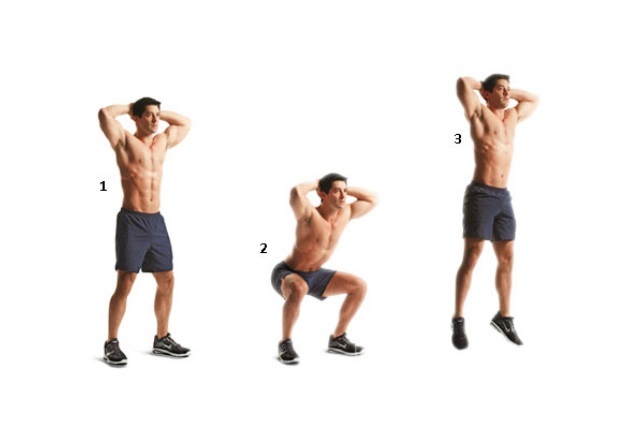 Jump squats are easy and quite effective. Start as you stand, keeping your feet some distance apart. Do a regular squat as you start. You will then use your core and jump up with all your might. As you land, you will lower your body again to the squat position. This shall complete one repetition. Land slowly and be in control. You need to do at least three sets, each of which 10 repetitions. You should use your whole body to jump. This helps in building strong hamstrings and quads. This is an extremely effective workout for strengthening leg muscles. You need to adjust the machine lever as you make it comfortable for you. You will place the back of your lower leg just on top of this padded lever. You will secure the lap pad just against your thighs. Hold the handles on the machine. Keep your toes pointed straight. Your legs will be completely straight just in front. This is the start position. Exhale and pull the level as far as you can. You will be pulling it towards the back of the thighs as you flex the knees. Your body shall be stationary. Stay in the contracted position for a few seconds. As you inhale, you will go back to the start position. You will repeat at least 5 times.